I received the following email from Bob Poksay. The Poksay family grew up in the Cornell Heights area of Hamilton, where I recall my friends the Mesday boys lived. Bob's email serves two purposes. 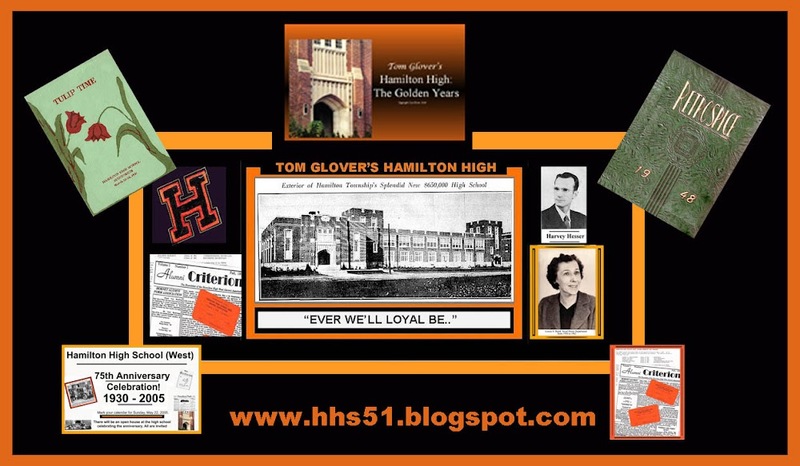 First, it establishes him as a member of the class of '53 at HHS, and second, provides a moving tribute to his brother, Lawrence Joseph Poksay. Lawrence was a member of the "Greatest Generation" who passed away recently. Bob thinks his brother was from HHS '43, and I will see if I can verify that. As you will read in the email Bob sent, Lawrence had a very distinguished career in the U.S. Air Corps during WWII, and then as a pilot of Air Force 2! Thanks very much for the heads up, Bob, and be assured your brother is in our prayers. My name is Bob Poksay, HHS class of '53, formerly living in Cornell Heights. My dad owned the store at the bottom of the hill. I appreciate your work in keeping HHS classmates informed. I am enclosing the obituary of my brother, Lawrence "Butch" Poksay. Like many of his classmates, he left HHS toward the end of his senior year to enter the service. He piloted a B-17 during WW ll and later flew Airforce Two for several Vice Presidents of the USA. Perhaps sometime you will have use for info on one of our departed heroes. I believe he was in the class of '43. Lawrence Joseph Poksay NOVATO, CA - Lawrence Joseph Poksay, most recently of Salem, OR, but also a longtime resident of Novato, CA, passed away Friday. Mr. Poksay was born March 17, 1925 in Trenton, the eldest son of John and Anna Poksay. When he was 17, "Butch" enlisted in the U.S. Army Air Corps as an aviation cadet. Upon graduation he served in World War II where he was based in Thorpe Abbotts, England with the noted 100th Bombardment Group and copiloted "Kleen Sweep," a B17 bomber (a.k.a. The Flying Fortress). After World War II ended, Mr. Poksay served as a reservist in Fort Dix until he was recalled back into the service during the Korean War, where he served as an instructor pilot at Bolling AFB in Washington, DC at Rhine Main AFB in Frankfurt, Germany for troop carriers, and at Stead AFB in Reno, NV for Strategic Air Command (air rescue operations). Mr. Poksay later joined forces with the 89th Military Air Wing at Bolling AFB; this operation relocated to the newly-constructed Andrews AFB in Washington, DC. It was here that Mr. Poksay served with Special Air Missions (SAM) for Presidential Fleets under the JFK and Johnson administrations. While with SAM, Mr. Poksay served as the pilot for Vice Presidents Johnson and Nixon and U.S. and foreign dignitaries. He was transferred to Wiesbaden AFB in Germany for three years wherein he continued his service with SAM. In June 1966, Mr. Poksay transferred to Hamilton AFB in Novato , where he retired from the USAF as a lieutenant colonel in October 1968. In all, Mr. Poksay very proudly served his country for over 28 years. Besides flying, Mr. Poksay also enjoyed motoring around in sports cars, power boats, and last but not least, huge RVs. Mr. Poksay was preceded in his death by his wife of 49 years, Mary Michalczyn Poksay. He is survived by his daughter Linda Poksay of Santa Barbara, CA; his son Thomas Poksay (Lisa) of Novato, CA; two grandsons, Andrew and Alexander Poksay, also of Novato, CA; and his brother Robert Poksay (Alma) of Sewell. Lawrence is also survived by his companion Ruth Gruzdiz of Salem, OR, formerly of Novato, CA. Visitation will be held from 9 a.m. to noon Friday with a vigil service at 11 a.m. at Keaton's Redwood Chapel, 1801 Novato Blvd., Novato, CA. A Memorial Mass will be celebrated 1 p.m. Saturday at St. Anthony's, 1000 Cambridge, Novato, CA followed by an Honor Guard burial service at Valley Memorial Park, 650 Bugeia Lane, also in Novato, CA. JUNE 20, 2007, THE FOLLOWING UN-SIGNED EMAIL WAS RECEIVED FROM A RELATIVE OF THE MESDAY FAMILY. YES, CLARENCE WAS THE NAME THE WRITER HELPED ME TO REMEMBER. SORRY I CAN'T CITE THE SOURCE OF THIS EMAIL BUT IT WAS OBVIOUSLY WRITTEN IN HASTE. 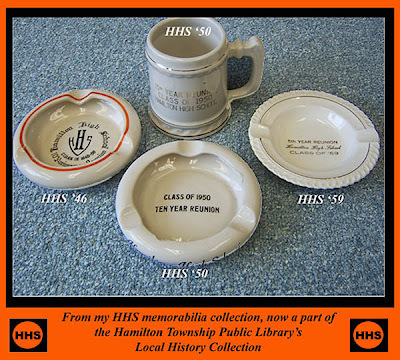 These are in the Local History Collection at the Hamilton Township Public Library, and being preserved for posterity.